It is the purpose of the Kansas City P&G Employees Credit Union to provide competitive financial services, in a safe and sound manner, for the mutual benefit and growth of its membership. 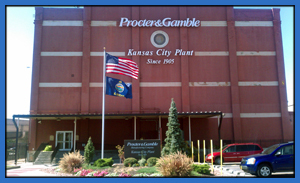 The Kansas City P&G Employees Credit Union was started in 1938, to allow Procter & Gamble employees to help each other with loans and savings. In times past, the Credit Union was larger than roughly half the banks in Kansas. It has served the employees with low-cost loans and good saving rates for nearly 75 years. 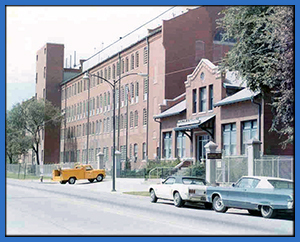 In the early years, the Credit Union was confined to one room in the Procter & Gamble Manufacturing Plant in Kansas City, Kansas – in a building that made and packed Zest bar soap. The Credit Union was only open a day and a half during the week. In the days before financial institutions were “regulated” by the State, loans were often made by Credit Union volunteers in the hallway outside of the P&G Plant South Shop when the Credit Union wasn’t open – sometimes in an emergency at night or on weekends. Kansas City P&G 2011 Those days are gone, but the same spirit of service still exists – “not for profit, not for charity, but for service.” At that time, there was only one part-time employee by the name of Isabella Shaw. Since then, there have been many great Staff members through the years, down to our current full-time Staff of Maureen Breshears and Emily Hawkins, and part-time Eve Grauberger. What other financial institution would know what a member wanted when he said at the counter – “give me the usual” – except for our Credit Union. Maybe the best part of any Credit Union is the members – which are not only the customers, but the owners of their Credit Union. The last few years have been difficult economic times, but the Kansas City P&G Employees Credit Union remains strong and looking forward to our 75th anniversary in 2013.